Purchased a DHT22 recently for a Work Desk Temperature project. 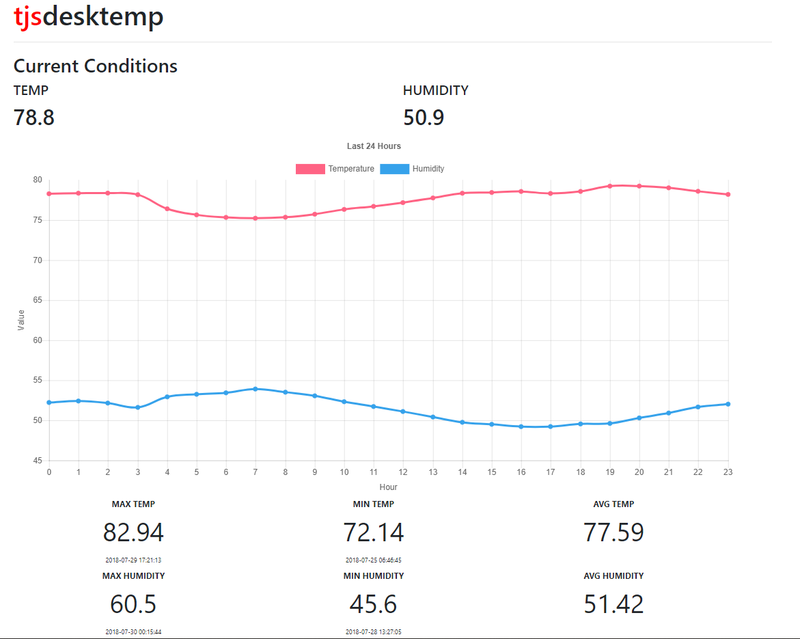 Wrote a web service and created some SQL stuff to capture the temperature and humidity at my desk. Here we go. Created a Table and a couple stored procedures to support this. Here is the table. Here are the stored procs. From there I just needed to figure out the ESP8266 Post. I had to search around a bit but finally landed on the script below. The script will establish a WiFi connection. Then it will loop every one minute taking a temperature/humidity reading from the DHT22. Finally it will call the web service I built to store the data in SQL server. You will need to grab the DHT and AdaFruit Libraries using your Arduino IDE. 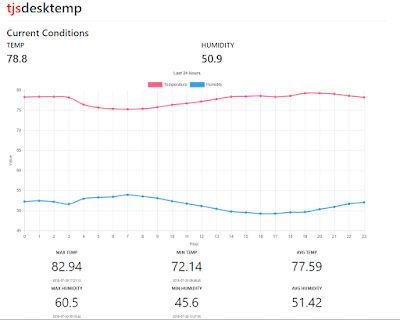 From there I created a web site using Chart.js and a couple other stored procedures I wrote to get MAX/MIN/AVG Temp and Humidity.